i’ve come to a revelation. a very important one. being a full-time artist is great. you create – whatever your medium – full time. awesome, right? i’ve been busy ‘networking’. i’m not 100% sure what the word means, but i’ve been doing it! 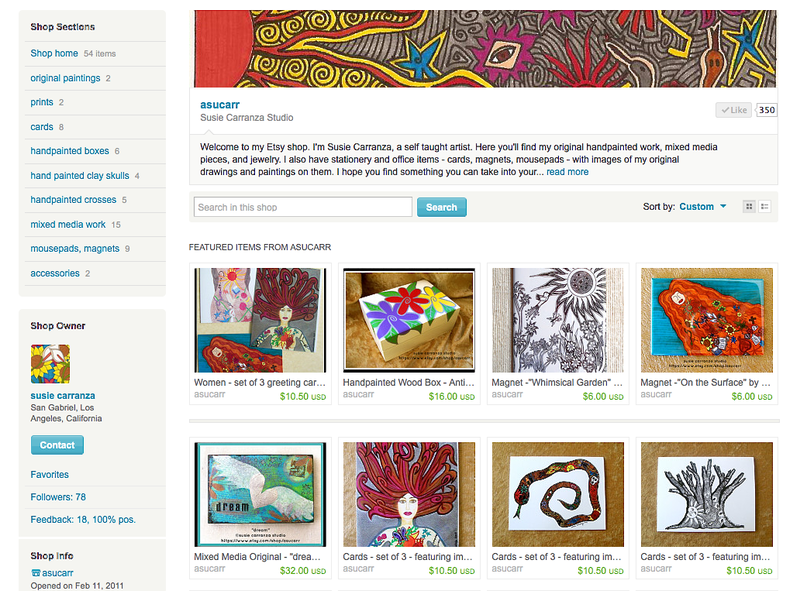 i run my facebook page, Susie Carranza Studio and i post daily. 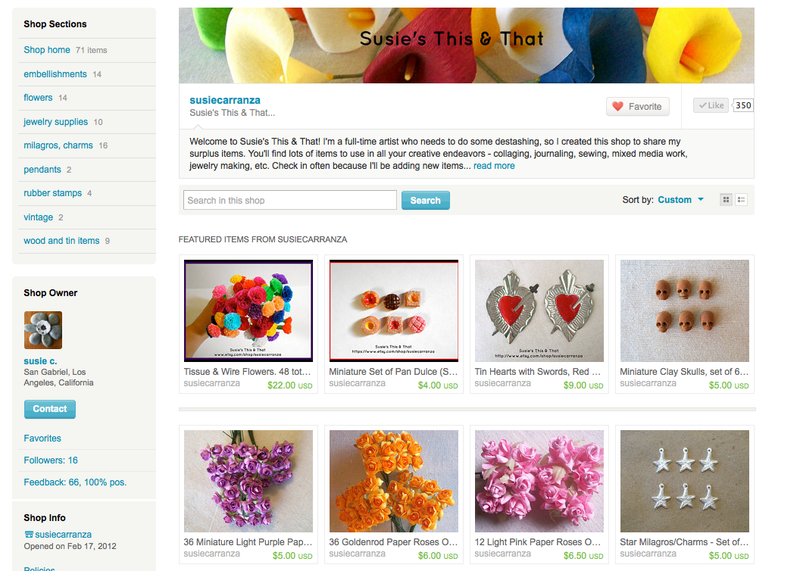 i have 2 etsy shops: one selling my work (Susie Carranza Studio) and one selling supplies (Susie’s This & That). i might not add new items every day but i check both shops every day, tweaking listings here and there, sometimes retaking photos, rewording descriptions, etc. 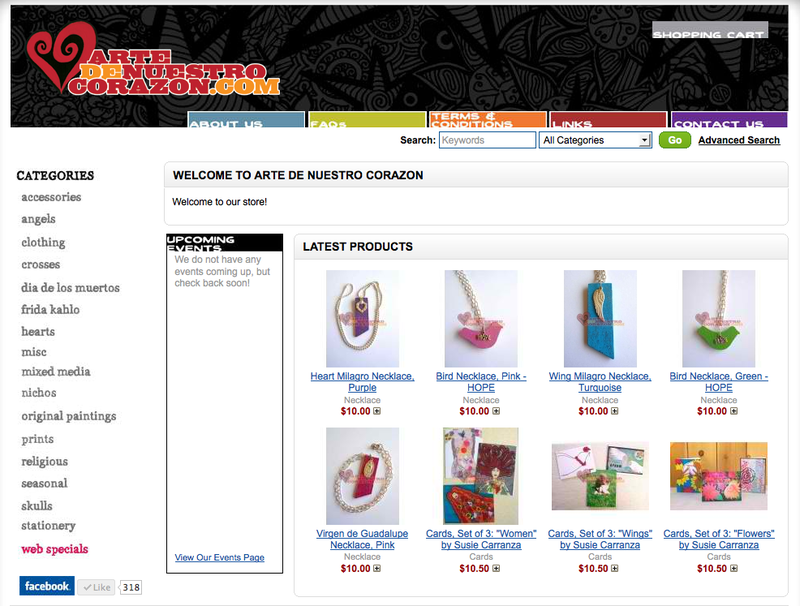 same thing with the website Arte de Nuestro Corazon that i share with 4 other creative people (my husband being one). i spent time every day posting and sharing links to all these sites regularly. so – my revelation? i spend so much time ‘networking’ that i’m forgetting something very important. CREATING. starting this blog helped with this sudden epiphany. this is only my third blog post, and i wanted to share new pieces i’m working on. 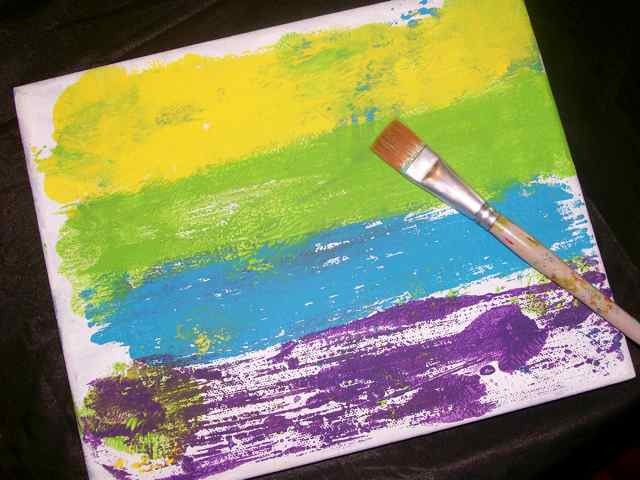 that’s when it hit me – when was the last time i sat down to paint? just paint for the sake of painting? so today i woke determined. i cleared off the dining room table. (did i mention that “susie carranza studio” is all over our house? studio space is any flat surface to work on in my mind!) set up my paints. 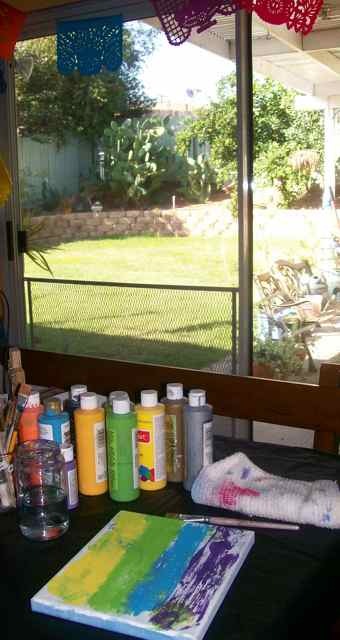 for the rest of this week i WILL paint. i agree – you need to take time. which is what i’ve been doing this week – painting. without thinking about the results, just having fun with the process.